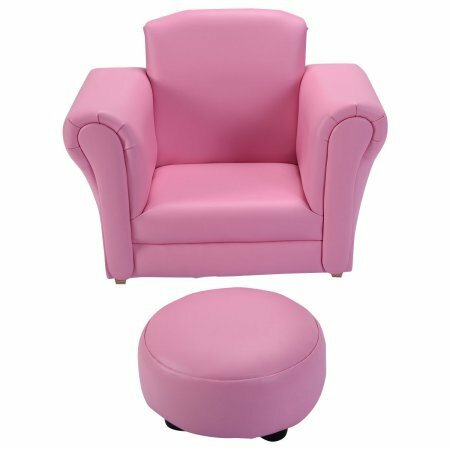 Children's pink armchair with matching footstool upholstered in 'Leather Effect'. It makes a great reading seat or for putting your feet up in front of the TV. Ideal for any children's bedroom or playroom! Get one for your kids. They will love it! Material: wood frame+ 30D new sponge+PU Sponge thickness: 1"